Last month, Microsoft updated MSN Money and Sports with dark theme support for Windows Insiders in the Fast Ring. Now, non-insiders are getting the new feature. 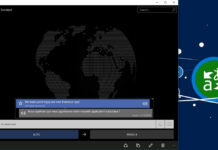 News is the first MSN app to support the dark theme. It is good to see apps getting more of a Windows 10 look and feel with these updates. Photos app, on the other hand, already got the light theme support for those who are in the fast ring and we also expecting it to be out soon for non-insiders. Check the Windows Store to grab the updates or click the link below. The update is available on PC and Mobile. – A Dark Theme option is now available! •Market Updates – Get a snapshot of current market conditions. See the day’s big gainers and losers. Track major indexes, currency exchange rates and commodity prices from around the world. •Latest News – Read the latest news and advice on markets, technology, companies, small business, investing, spending, credit, home & property, insurance, taxes, retirement, budgeting and more. •News from all major media sources, including Wall Street Journal (WSJ), CNBC, Reuters, Fox Business, CNBC, Forbes, Bloomberg, Investopedia, MarketWatch and more. •Personal Finance News – Get featured personal finance news. •Stocks – Interactive charts, analyst ratings, industry and peer comparisons, and fund trends provide deeper insights. •Funds – MorningStar ratings and analysis, asset and sector holding patterns, and fund category rankings offer extra detail. •Rates – Check the latest mortgage, home equity, auto loan, CD, and credit card rates. •Personalize your Watchlist to conveniently track the stocks, mutual funds, ETFs, Currencies and Commodities that you like to keep track of. Sign in to your Microsoft account to save your preferences. •Americas: NASDAQ, NYSE, Dow Jones, S&P 500, RUSSELL 2000, IPC, IPSA, IBOVESPA, etc. Europe: CAC 40, ATX, BEL 20, OMX COPENHAGEN 20, OMX HELSINKI 25, FTSE MIB, IBEX 35, etc. •Currencies – Get current foreign exchange rates and see how your currency is trading against other world currencies. •Tools – Get more from your money with financial and budgeting tools such as a mortgage calculator, currency converter. •Track commodity prices: Gold, Silver, Platinum, Crude Oil, Natural Gas, Cotton, Sugar, Wheat, Corn, etc. •Best of Web – Discover nearly 100 of the most useful finance websites, each hand-picked by editors. 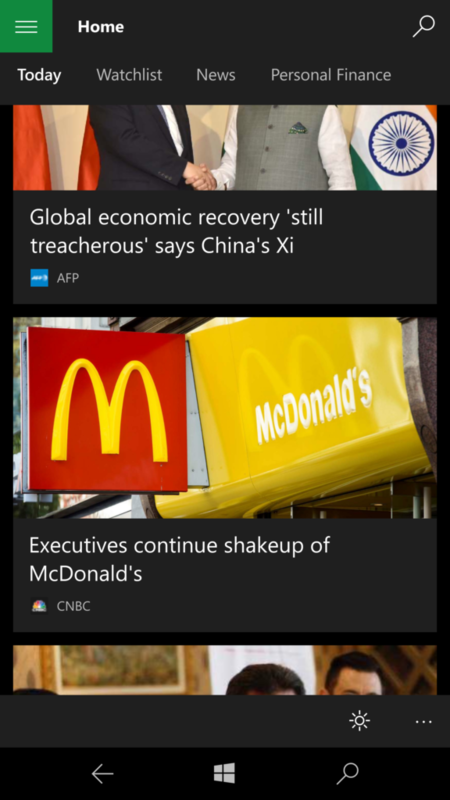 •Live Tile – Tap or click on the rotating market chart or news headlines or indices to access the app. Now you can also pin your favorite currencies and commodities to the Start menu. •Note: Some features may not be available in all markets. 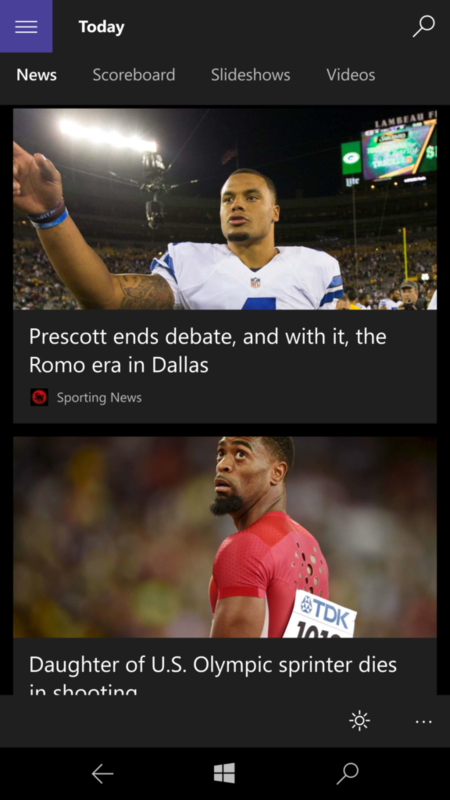 •News – Get an overview of the top headlines and access the top new stories by sport. •Scores – Scan through the most recent scores and tap or click on a specific game to get more details. •Schedules – Access upcoming match-ups and see full league and team schedules. •Standings – Compare team records and see which teams are leading their league or conference. •Statistics – See team and individual statistics as well as league leaders. •Teams – Access detailed team information, including news, scores, schedules, statistics and leaders, rosters, and players. •Personalization – Track the leagues and teams that you care most about with the app�s personalization and pinning features. •Best of Web – Discover nearly 100 of the most useful sports websites, each hand-picked by editors. 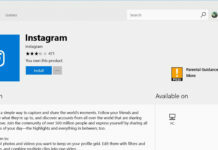 •Live Tile – Tap or click on the rotating headlines and images to get more information or to access the app.